In this article, we’ve compiled a set of tips on how to make your Instagram posts more marketable and attractive to their followers, in order to increase your sales and achieve higher conversion rates. Understanding your target audience is an essential aspect of a successful sales strategy on Instagram. It’s a good idea to start off by establishing whether Instagram is the right marketplace for you in the first place. It ultimately depends on what you’re looking to sell. Although there is a certain variation in demographics, Instagram is predominantly a younger person’s place. Little over half of the platform’s users are under 29 years of age, while the second largest demographic — 30 to 49 amounts to nearly thirty percent. Once you’ve established that Instagram fits your demographic’s age, it’s essential to define who your target audience is and determine what their social characteristics are. Helpful to find this out would be using social media analytical apps, like for example Sotrender. Linking your website to a shoppable post on Instagram will add a Call to Action (CTA) to your post, like “Shop Now.” CTA’s are an incredibly efficient way of kickstarting your sales and improving conversions. This will also provide your website with a considerable increase in traffic, which will increase exposure to the rest of the products you have for sale. The numbers suggest that around 56% of people that view ads will also visit the shop’s website. The increase in traffic alone can have a host of adjacent benefits. Let’s look at it this way — you have a bunch of people that have never used your site exposed to your landing page. The fact that they’ve followed the link to your website is suggestive of the fact that they are most probably a part of your demographic and are potentially interested in the products you have to offer. If you have a newsletter opt-in put in place, you should expect that its subscribers will grow in number significantly. Instagram has around a half billion of daily users, take this as an opportunity to attract a more significant number of people to your other channels, besides just selling products. There is a broad spectrum of colors that feel inviting to the eye. Bright, reddish orange is a famous disruptor. If a post has a lot of this color, it makes the person scrolling their Instagram feed stop and look at the post. There are many brands that have used this colors mesmerizing effect. Similarly, you might want to consider moving away from Instagram’s built-in filters and experimenting with other apps, such as VSCO. Some of them come at a price, but it doesn’t usually exceed 99 cents. The most popular Instagram filter used in 2017 was Normal. This may suggest that users aren’t as happy with their filters. Or, they tend to edit their photos in third-party apps before uploading them to the Instagram app. The second most popular one was Clarendon, which is a filter that tends to freshen the palette a bit. It makes the colors cooler, but not in a bad way. They’re pretty good for selfies or pictures that feature faces or skin, due to the filter’s warmer mid-tones. So in case you’re selling jewelry or accessories, this may be a good choice for you. Juno is another excellent choice. It has a more intense reddish hue to it, and it warms things up pretty quickly. People’s skin immediately acquires a healthier warmer tone, and the image, in general, becomes more inviting and pleasant to the eye. We’re all tired of ads. Every free service forces its customers to watch unsolicited advertisements. Unfortunately, those ads often have nothing to do with their interests. Thus in order to actually increase the audience’s engagement with your posts, it’s essential that you don’t frame them as an advertisement. More simply put — your ads shouldn’t look like ads. You aim is to have your posts resemble natural content. To achieve that, you should look into posting images with faces. Faces attract us from an evolutionary perspective. They catch our attention immediately. And people in your posts should be used to showcase the product. Big advertising companies have leveraged human psychology for their campaigns for a while now. The other benefit of including people into your ads is humanization. It shows your audience that this isn’t just an automated sales profile. There are real people behind it. It’s also important that your audience doesn’t feel that you’re trying to sell them stuff on a regular basis. Approach your ad calendar with care. Be mindful of the ads you place — don’t bombard your audience with excessive advertisement. When you’re ready to start advertising a new product on your Instagram page, it’s always a great idea to start posting natural, high-impact posts that are in the same theme, palette, or color scheme as your upcoming advertisement. This will ease people into the ad, by creating a pleasant sensation of continuity. Giveaways are an excellent strategy to improve your numbers on social media, whether it’s the engagement with your content, your total follower count, and other essential metrics. Like and share their content — note that the sharing function is not incorporated in the Instagram functionality, which means that users will have to use third-party apps that may decrease engagement. Post under the brand’s corporate hashtag. Mention their friends in the comment section of tag them in pictures or videos. Follow the brand’s profile on Instagram. Choose an action, or set of actions from the list above that will better suit your campaign. Influencer marketing is one of the most efficient emerging marketing channels in the world. Social media has provided people with the opportunity of creating their own brand. The secret behind it is high-quality, engaging content. Influencers amass large followings, which can then be used as a marketing audience. Given that the ad placement comes from the influencer directly, people engage with it a lot more. Here are a few statistics that underline the importance of influencer marketing in the current business ecosystem. Three-quarters of teens prefer influencers over stars. Around 85% of women consult social media and influencers before making purchases. Influencer marketing returns almost $7 for every dollar invested. A critical aspect of influencer marketing is consistency. A long-term collaboration with them will build trust in your brand. Their following will not frame it as a one-off, but rather a trustworthy business-influencer interaction. Working with a group of select influencers will open even more doors. Your business will be able to reach across many industries and interest groups. This ensures a much more holistic marketing strategy on Instagram. One common reason why people are dissuaded from working with influencers is the that their services might be too expensive. Ultimately, it depends on your budget. However, it’s advisable to start small and analyze the impact it has had on your sales. This will allow you to grow slower but with more financial security. To better understand if an influencer is a good fit for you — ask about their metrics. That will give you insight into how previous campaigns worked. Anthony McGregor, Social Media Specialist at PickWriters. Instagram lets businesses advertise their products and services between user stories. The format of this type of advertisement is identical to the stories themselves. But they often have extra functionality. You can choose both a video and a photo for your ad. If you choose to go with a picture, instead of a video, choose a bold and inviting picture. Don’t make the takeaway message too complicated. The user only has 10 seconds to view the picture, until it disappears from their screens. Deliver the message in a clear, straightforward manner. Include your logo in the story. Don’t deviate from the corporate style. Using strong CTAs is essential. Be a wordsmith. Craft your message very carefully. 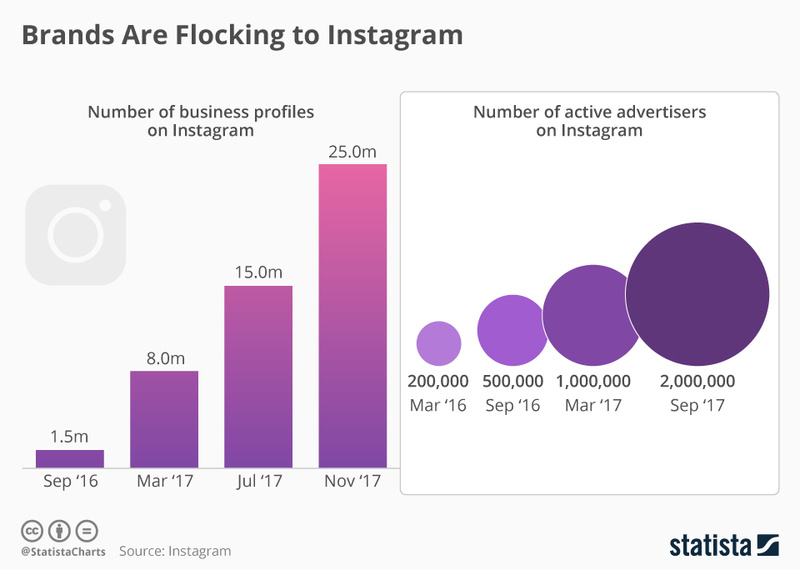 Besides being among the major social media platforms, Instagram is now among the most popular marketplaces too. There, businesses have found a great place to connect with their potential customers on many levels. If you’re looking to increase sales, we strongly recommend looking into Instagram. First off, you need to study your demographic carefully. You should have a detailed understanding of who they are and what they like. Secondly, don’t hesitate to link your website to your shoppable posts. This will drive extra traffic to your site. Don’t forget to use some of Instagram’s native filters, to make your posts look more impressive. But, don’t forget to look into third-party apps. 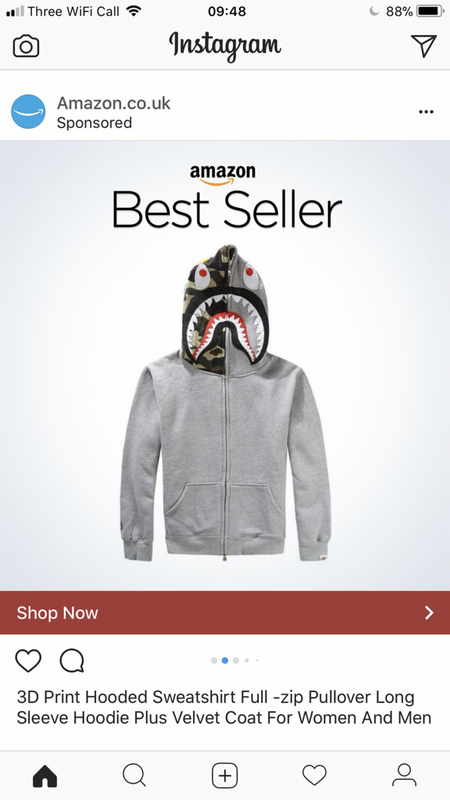 Make sure that your shoppable posts don’t look like ads. It’s better to include them into a series of related posts. Arrange a giveaway on your Instagram, in exchange for specific actions that would benefit your campaign. Invest some of your budget into influencer marketing. This channel is considered to be the fastest growing in the world. 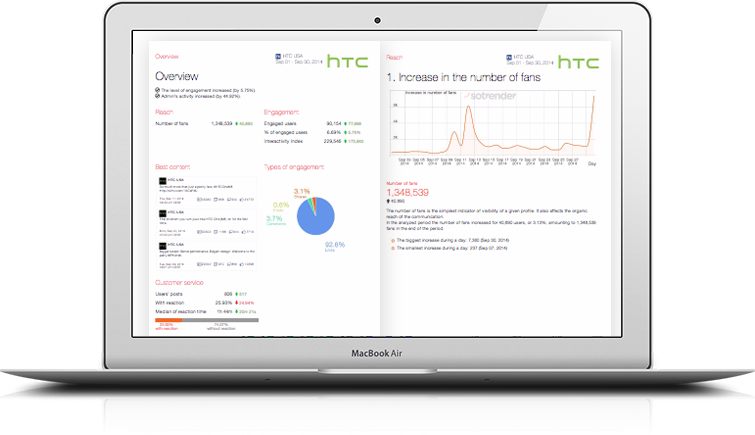 It provides its proponents with impressive ROI’s. And lastly, take advantage of Instagram’s stories. They provide for successful ad campaigns that will boost your visibility and engagement. Kristin Savage nourishes, sparks and empowers using the magic of a word. Along with pursuing her degree in Creative Writing, Kristin was gaining experience in the publishing industry, with expertise in marketing strategy for publishers and authors. Now she had found herself as a freelance writer.